Click on Start and then on Printers. 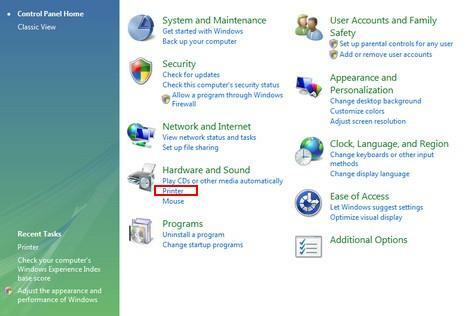 If Printers is missing from the Start Menu, then click on Control Panel. 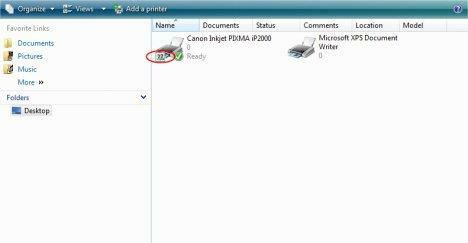 When you are in the Control Panel window, click on the Printer link, as shown below. In the Printers window you will see all the installed printers (local and network printers). 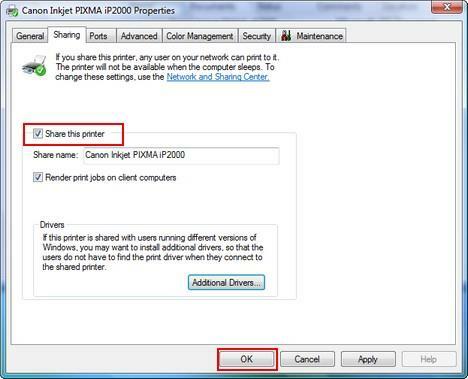 Right-click on the local printer you want to share with others and select Sharing. If this option is missing, click on Properties. In the Properties window, go to the Sharing tab. Here, click on 'Change sharing options'. If UAC is enabled, you will have to click on Continue. 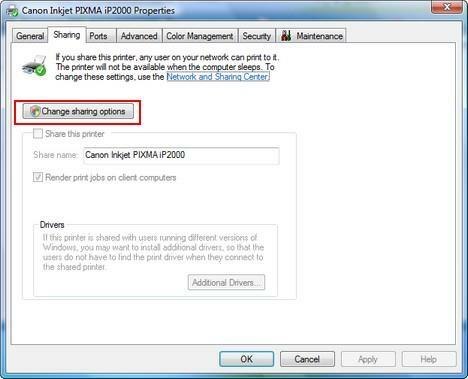 Now, in the Sharing tab, check the option that says 'Share this printer' and click on OK. 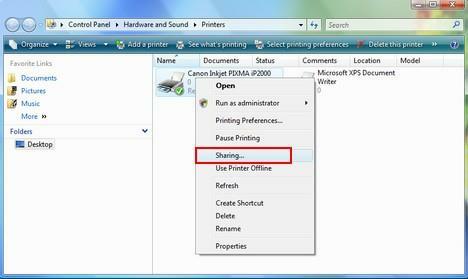 In the Printers window you will now see a small sharing sign near your printer. What do I do if there is no Sharing option even in the properties window? What if I go to the laptop computer and it still won't let me print off of the main printer? I have followed these steps, and when I get into the sharing tab, and click chage sharing options, I doesn't let me click on the share this printer check box!!! Anyone have a solution to this???? your user name need to be an administrator account to install printer.